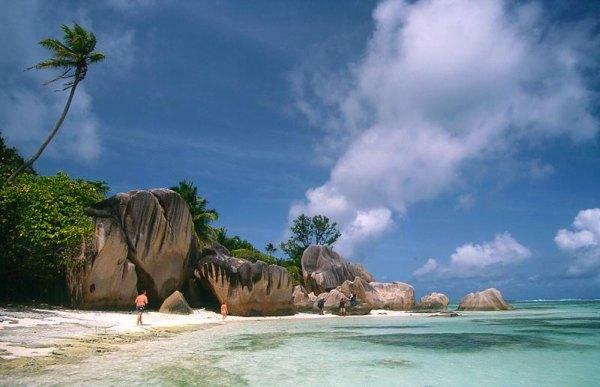 Anse Source D’Argent, the second best beach in the Seychelles is also one of the most popular. 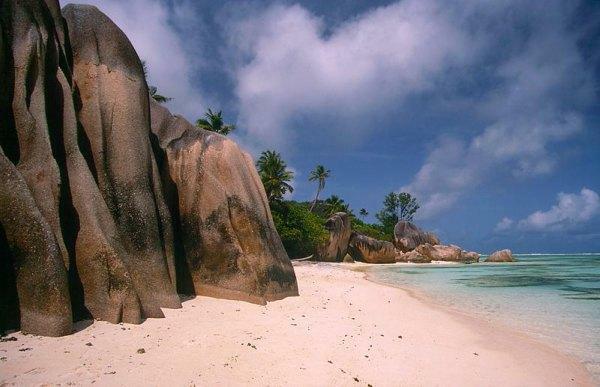 Anse Source D’Argent, voted numerous times the ‘best beaches in the world‘, is also one of the most photographed beaches, featured in numerous travel magazines as well as travel programs. 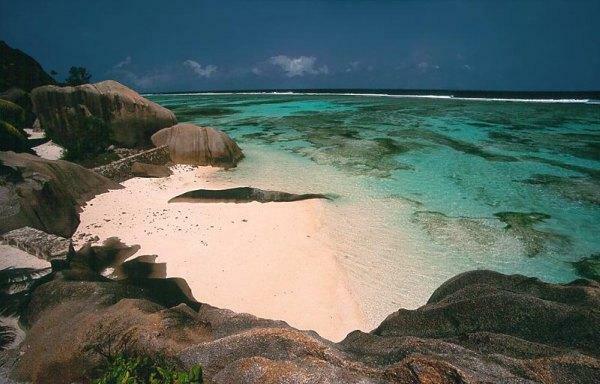 Anse Source D’Argent is located on La Digue, one of the principal islands. La Digue manages to be tropical, homey, understated and classy all at once, without sprawling resort hotels, grand casinos and bustling sport activity centers. If you find it hard to tear yourself away, don’t say we didn’t warn you. However, you can explore the coastline for hours and hours. In fact, we believe the food here in the Seychelles is the best of any Indian Ocean destination. Though most islanders here eat basic meals of fish and rice, several dishes incorporate fruit, exotic herbs and spices from several regions of the world. The two-mile stretch of golden sand is no slouch either, as it’s edged by a walk and anchored by twin mountain peaks at its western end. La Digue island represents the quintessential Seychelles postcard images – turquoise seas laced with pink-hued beaches and the occasional giant granite boulders adding an artistic contrast to the powder-soft sand and crystal-clear waters. Turtles nest on various islands e.g. Cousin, Aldabra, Silhouette, as do large colonies of birds. Some islanders went back to Mauritius it was mostly the families of the original deportees that migrated north to this island that is paradise. Until recently working with copra and vanilla extraction were the mainstays of the local economy, nowadays it is firmly geared to looking after its visitors. The Seychelles was once thought to be the location of the Garden of Eden, and Anse Source D’Argent almost leaves no doubt — you just may be tempted to cancel your return home. Notes – probably the most photographed beach in the world. Recommend a beach tour starting at Grand Anse – beautiful, but not safe for swimming – then on to Anse Cocos, (there’s a nice path). Take your time and take in this spectacle. This is really a paradise, thanks for show me how wonderfull is God.